One of the biggest complaints we here from our customers about using central vacuums is dealing with the cumbersome vacuum hose. 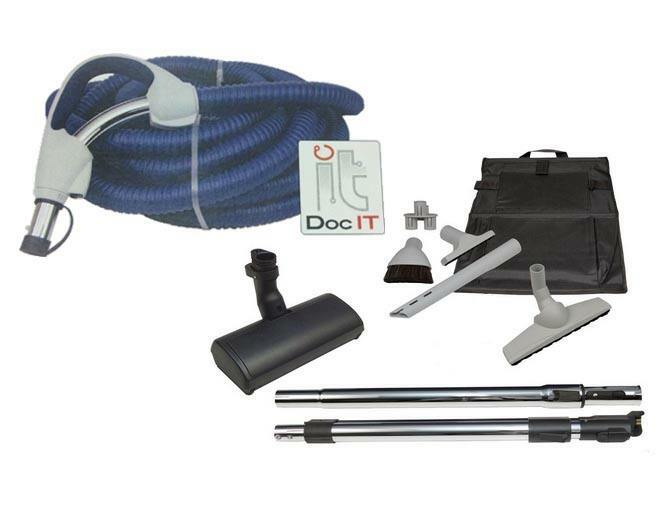 If you're tired of struggling with an awkward central vacuum hose, then seriously consider the Cana-Vac Doc IT, which is a retractable hose system that allows you to move your hose through with ease and put it away neatly without fuss. 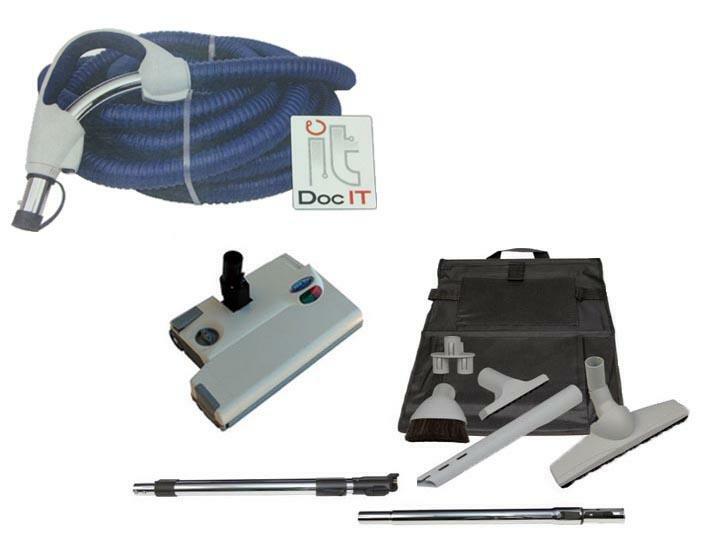 As of now, the Doc IT system from Cana-Vac is the only fully retractable electric central vacuum hose. No fuss, no muss! Every part of the hose is neatly concealed, even the hose handle itself is covered by a visually pleasing cover. And beyond that, the Cana-Vac uses a 45 or 55FT fully electric hose, which beats the industry standard by 15-20FT! Each Cana-Vac accessories kit available comes with a different floor nozzle, so be sure to get the package with the floor nozzle that is right for your home. The various accessory kits have their own strengths. Some will work better on certain floor types than others. 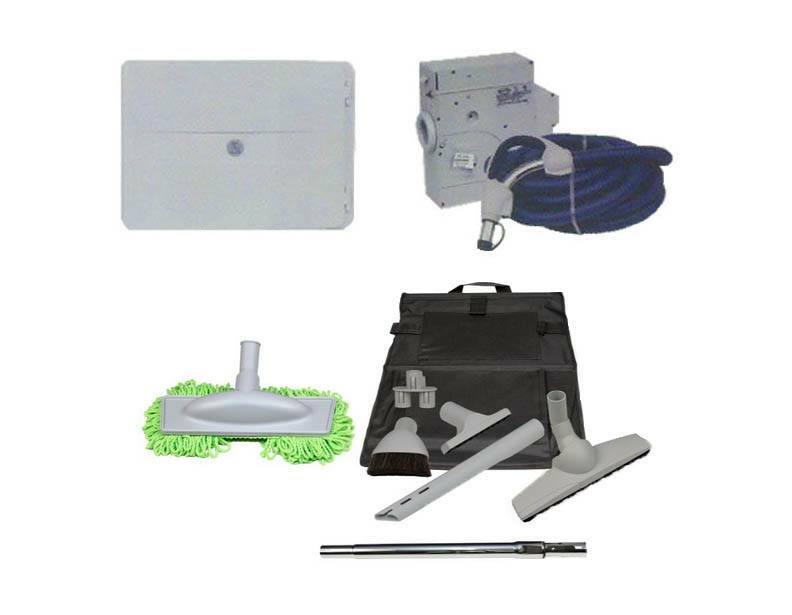 The basic AIR kit comes with a hardwood floor mop, in addition to the other standard attachments. The hardwood floor mop works great for cleaning a variety of different hard floor surfaces--like tile, vinyl and hardwood floors. The AIR accessory kit is back by a 3 year warranty. The Total Control kit is one step above the AIR kit, and includes a lightweight power nozzle that is great for cleaning area rungs, hard floors, stairs and even berber. The Total Control kit is backed by a 3 year warranty. The Performance kit includes a premium power nozzle that works great on just about every floor surface—from smooth, hard surface flooring to carpeting of various lengths—low-pile to shag. This kit comes with a 3 year manufacturer's warranty. The Professional accessory kit is the best one available. It includes the high-performance and commercial vacuum grade XLS650 power nozzle. The XLS650 features an easy-change brushroll and works well on just about any floor surface. 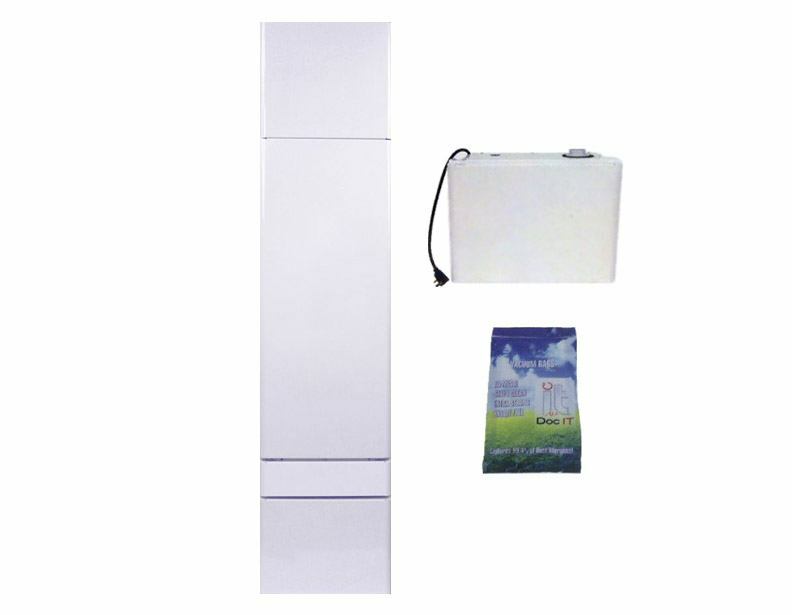 This kit also comes with a 6 year manufacturer's warranty. 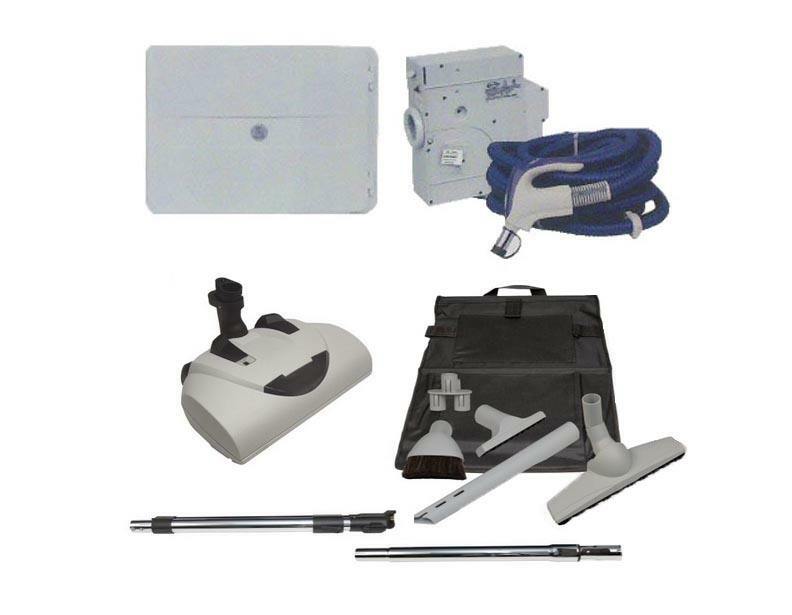 If you don't already have a central vacuum, then you might want to consider the Cana-Vac Doc IT ALL system. 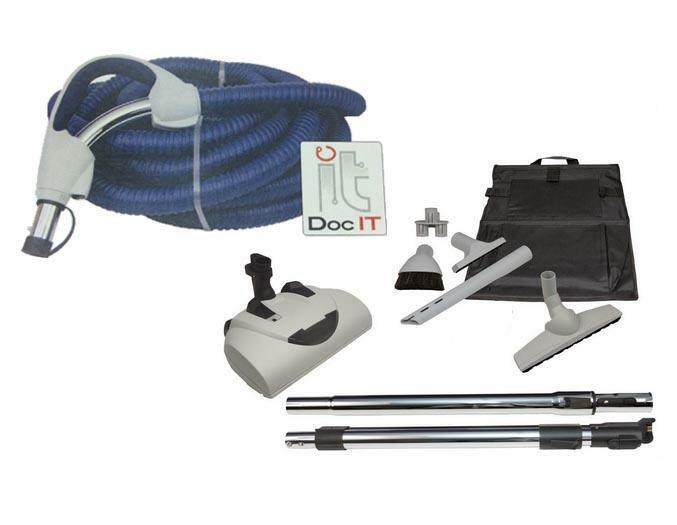 The Doc IT ALL is a sleek, seamless system that operates as a central vacuum and a retractable hose system. The vacuum it houses is quite powerful: 142", 117 CFM, 500 Airwatts. 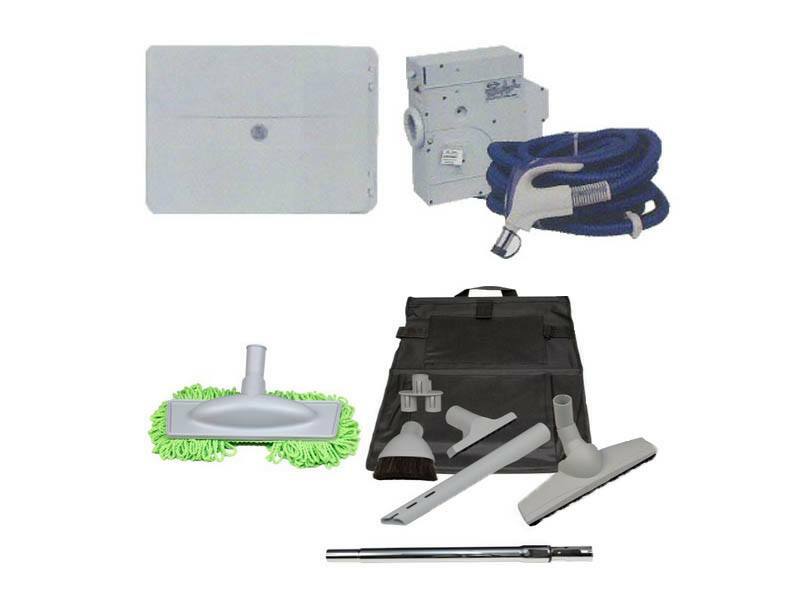 The Replacement bags includes a 3 pack of replacement bags that capture 99.4% of dirt and debris. If you need more information before deciding that the Doc IT is right for you, or if you would like assistance ordering, then please give our sales department a call at 1-866-972-8227.